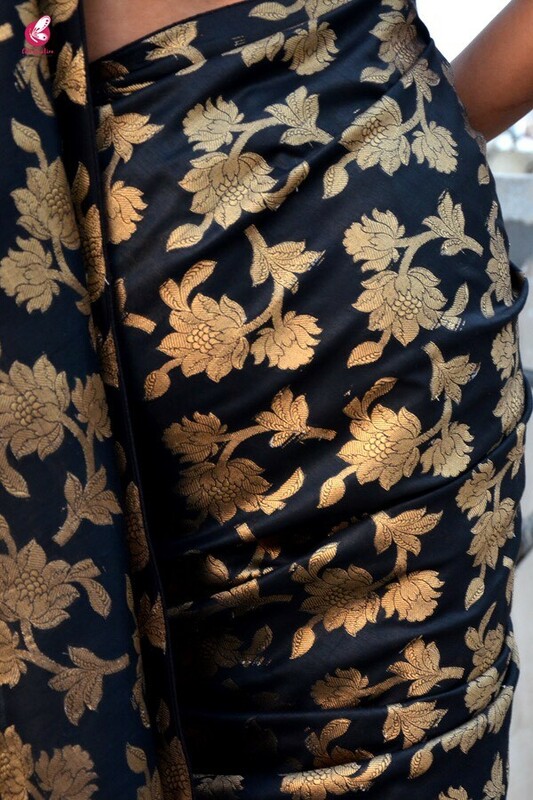 The Fabulous weave makes this black golden chanderi zari woven saree from Colorauction a must have in your wardrobe. 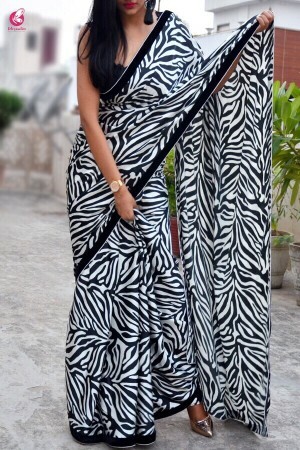 This saree promises an elegant appearance and will win your heart at first glance. 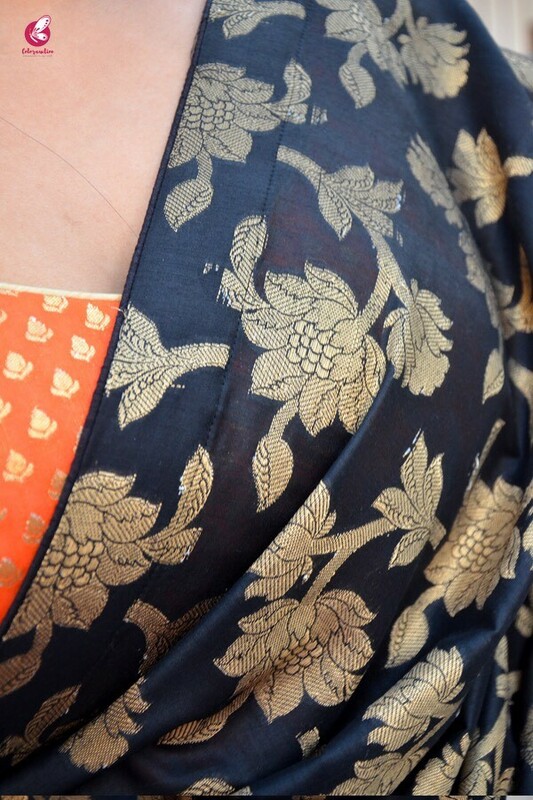 Not to forget the chanderi fabric contributes to light weight feel and comfort. 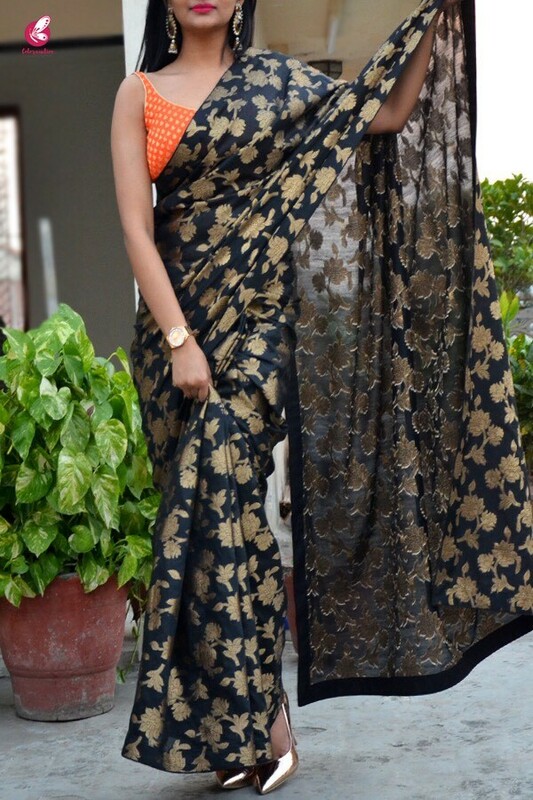 The saree can be best teamed with a taemenf earrings and high heels to look absolutely stunning.